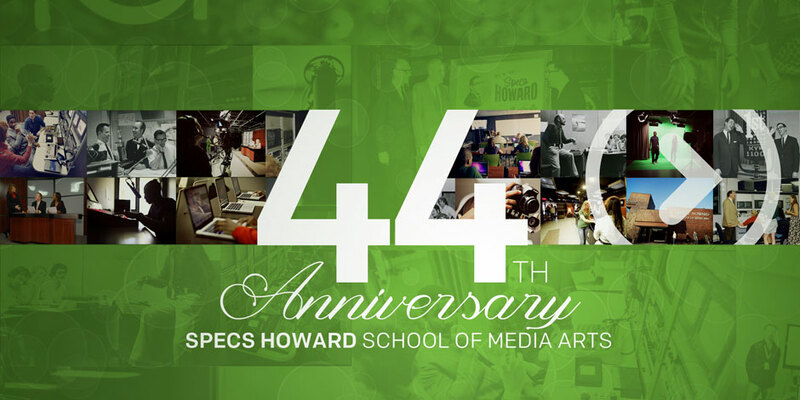 44 years ago Specs Howard School of Broadcast Arts opened it’s doors to students eager to train in the radio industry. Over the years, the school has expanded to include programs in all aspects of the media arts. This resulted in the renaming of the school in 2009 to Specs Howard School of Media Arts. Since January 14th, 1970, there has been tremendous growth not only here at Specs Howard but also in the media industry. While we were just opening our doors in 1970, PBS and NPR were just opening their doors to the media world as well. In 1976, cable television was first went live. Shortly after that, we added our first television studio in 1981. That was also the year that MTV first aired playing “Video Killed the Radio Star” as their first song. The 90’s brought us the digital age. The first professional digital camera system and in home internet access was brought to life in the early 90’s. Naturally, in 1994 the school added non-linear digital video editing to it's curriculum. In 2003, the Adobe Creative Suite was founded, so in 2008 we added the Graphic Design Program.